Hey guys! So a few nights ago I was on Twitter and found out that Google Reader will be no more after July 1st. I don't really know what that means because I don't use it, but it seems to be a big deal & might affect how you follow Lulu & Sweet Pea. I want to make sure everyone knows all of the different ways you can keep up to date on my blog. 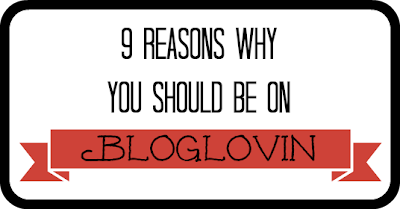 Everyone is talking about Bloglovin. If you're looking for a great tool to read and organize all of the blogs you follow, this might be the one for you. I've been on Bloglovin for a while now but never really used it very much or checked out it. My bloggy BFF Sarah at Fortune Favors wrote this blog post last month and convinced me of Bloglovin's awesomeness. I now use this to read and follow all of my favorite blogs! Other ways you can follow me can be found right under the header at the top of the page. You'll see the social media icons for Twitter, Facebook, Pinterest, Bloglovin, GoodReads, and then there's my email address where you can contact me. <<<You can also subscribe to posts & comments or follow by email, which is located to the left below my picture and introduction. I hope everyone makes a smooth transition from Google Reader! I'm trying to get used to Bloglovin', but I'm taking advantage of Google Reader while I still can! Maybe because I'm a blog slacker but I don't see the big deal with the switch. I have yet to see the benefits. Idk.